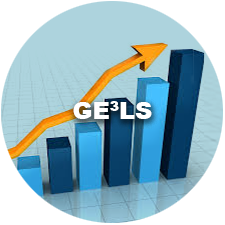 GE3LS research generally comprises Genomic, Ethical, Environmental, Economic, Legal or Social aspects of an applied genomics project. 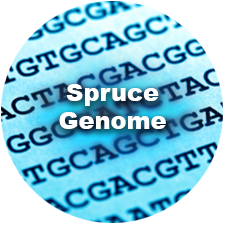 The Spruce-Up GE3LS team measures the socio-economic and environmental benefits from implementing genomics to improve resilience and productivity of spruce stocks for reforestation in Canada. One key activity of the GE3LS research team is to assess the economic impacts of Canada’s boreal forest management programs for various forest end-users. We focused on the implications of spruce breeding programs and employed a systems analysis methodology to link tree productivity gain models (including gains in height, survivorship, and quality) to forests, to logistics and transportation (supply and distribution chain), and finally to the overall forest sector competitiveness. In this effort, we used a variety of interdisciplinary scientific approaches including biostatistics, industrial engineering, engineering economics, and forest level economic modelling. In 2015, Canada’s boreal forestry sector planted between 40 to 80% of the harvest footprint (National Forestry Database 2015) – typically using local provenances defined within seed and breeding zones. These operations resulted in the planting of over 100 million seedlings with the majority being Picea and Pinus species. Given the magnitude of the reforestation needs, planting or seeding programs that involve genetically superior planting or seed stock are a large focus of government reforestation programs (Kumagai et al 2010; Porth et al 2015). In this context, plantations investment decisions (Bullen 2017) and civil society’s desire to: 1. mitigate forest yield losses due to insect and disease, 2. increase forest resilience to climate change, and 3. increase the productivity of the forest so that more jobs and biomaterials can be created. All of these aspirations all come with a cost, and the efficiency and efficacy of the reforestation decisions to be made are complex and require extended analysis. Our research teams worked to prepare datasets on the forests, to create an IT platform to explore a range of policy questions and a set of modelling tools to explore possible future scenarios. Past studies (Ahmed et al 2016) have already predicted productivity gain depending of the climatic context and site characteristics. Thus, we are working at different forest attribute information from different regional levels as well as the national level. As we continue to build an efficient decision-support system, the upstream genetic gains (in the forest) from improved planting stock will now be linked with downstream industrial processes via the spatially explicit Canadian Forest Service – Fiber Cascade Model (CFS-FCM) simulation model. 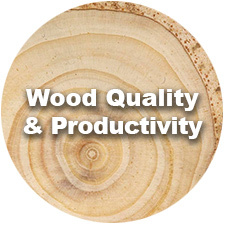 CFS-FCM simulates forest sector supply chain activities including roundwood supply to the primary mills, residue distribution to secondary mills, and finally to production. 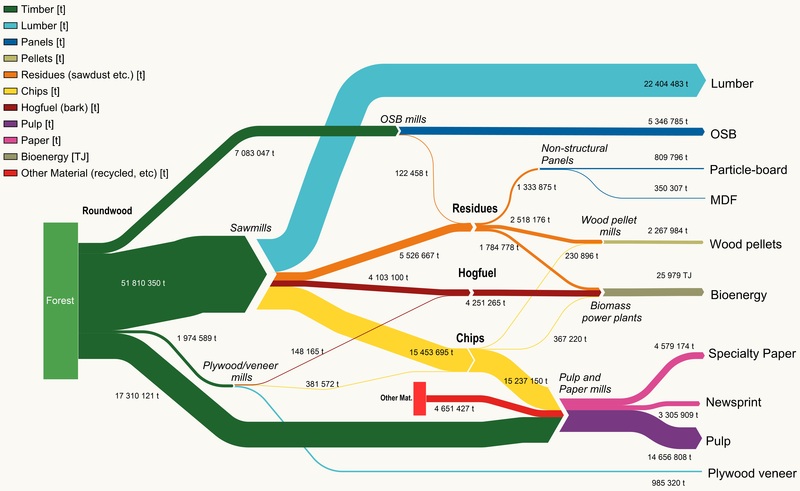 Linking these models allow tracing upstream productivity gains throughout the forest sector supply chain while assessing a range of technical, economic and environmental indicators including fibre supply cost and volumes to primary and secondary sectors. Thus, tracing the flow of fibre through the forest sector allows a complete economic evaluation of the supply chain of Canada’s forest sector. 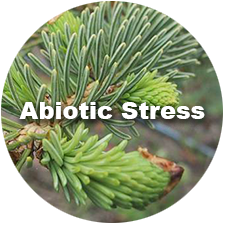 Another key activity is the social acceptance of the use of genomics in tree breeding and reforestation activities, improved spruce stocks being important in forest management practices. Both positive and negative perceptions and their origins must be understood, if genomics-improved trees are to be deployed on a significant large scale in Canada. Diverse social and cultural contexts drive acceptance of deployment of genetically-improved plantation stock. 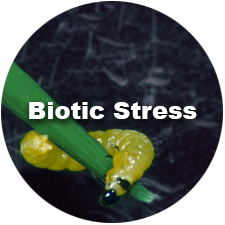 In working with multiple stakeholders, we will address critical issues of adopting genomic selection approaches and improved plantation stocks in the management of Canada’s boreal forest. Deliver decision-support tools that are scalable and applicable to investment decisions at the mill, provincial and national levels, with associated industry policies and strategies. Address critical issues of social acceptance at multiple scales with multiple stakeholders at provincial and national levels.